Millions of protesters have reportedly thronged the squares of Sanaa and Taiz, calling for the end of Ali Abdulla Saleh's regime. Dubbed Last Chance Friday, protesters are keen to boot out Saleh, who has ruled Yemen for 32 years. The whole week saw support pumped up for today's massive protests, which didn't fail the expectations of observers. Some estimates put those who took to the streets in protest against the regime at hundreds of thousands. 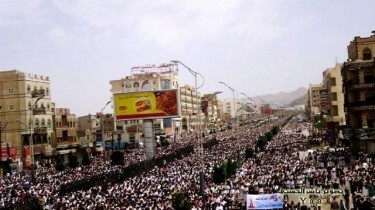 Wow – Taiz protests in #Yemen are now “about a million” in size! For the first time anti-government protesters left the tented sit-in for “Last chance Friday” prayers and took to the major six-lane highway of 60 meter road, spreading for more than a mile. Down the road President Saleh once again addressed thousands of his supporters in the now regular rival protests in the capital. Hujja: The first martyr falls. His name is Abdulhameed Huzait and he is 15 years old. 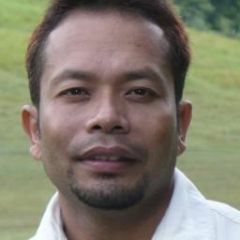 May Allah have mercy on him. Meanwhile, egyps shares a video from Al Jazeera, from 70th Street in Sanaa, showing Saleh speaking to supporters there, welcoming a Gulf Cooperation Council (GCC) plan for a three-month transition of power. The plan gives Saleh, his family and aides, immunity from prosecution. The GCC is made up of Bahrain, Saudi Arabia, Kuwait, Qatar, Oman and the United Arab Emirates.